Kashan is a city approximately 200 kilometers Southwest of Tehran. Although many first time overlook Kashan, it surely is worth to spend a day or two. 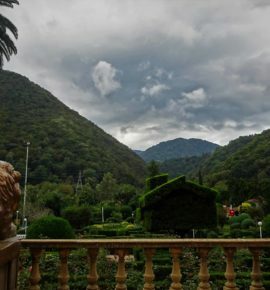 The city is packed with historical places, great 18th century architecture, one of Iran’s most unique bazaars and offers great trips within a close distance. In fact, most sights are in walking distance of each other, making it quite easy to navigate your way around! Earlier I wrote about my adventure in this interesting city. This page will cover most of Kashan’s unique sights to guide your visit in and around this city, as well as transportation options. known for its courtyards, amazingly detailed and overall present stucco-work and tall wind wards, designed to keep designated rooms cool during a burning hot summer. The 1880’s architecture includes beautiful stained glass and wood crafted doors and windows. constructed from 1857 on order of a wealthy merchant, it took eighteen years and 150 craftsmen to build this beauty. Also equipped with three wind towers, to make the place unusually cool during summers. 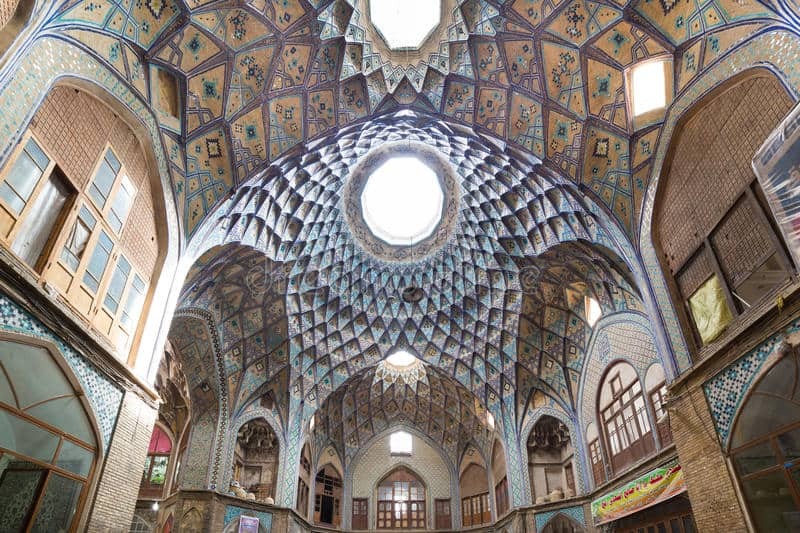 The house features plaster-work similar to that of the Tabatabaei house, but has a dazzling dome that might just leave you speechless. Overall the architecture is remarkable and is a unique characteristic of the city. 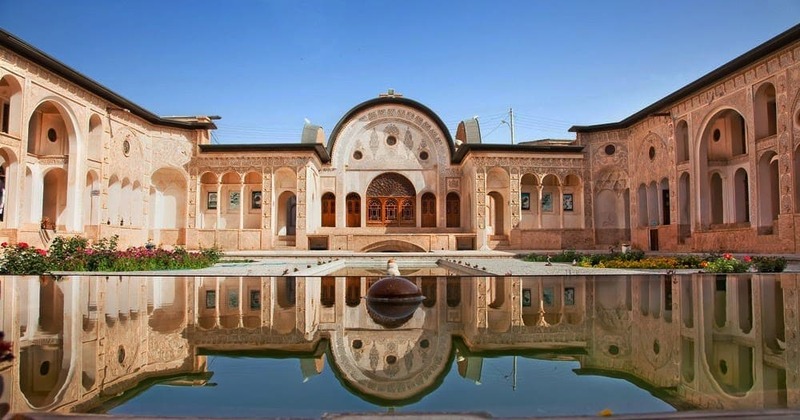 home to the governor of Iran in the 18th century, the Ameri house covers almost 9000 square meters, has 85 rooms and 7 courtyards to explore. Currently serving as a five-star hotel for both national and international travelers. If you have a lot of bucks to spend, this could be a unique overnight experience. a huge home full with wall carvings, decorations, mosaic mirrors, traditional doors and colorful stained glass. Although this house is mostly empty, it’s still nice to walk around. This place allows you to follow a tangle of stairs up and down, leading you to interesting places, such as hidden treasury rooms, rooftops and the old kitchen. Apart from the size not the most impressive home around, but still good to visit. Tip; all homes charge an entrance fee, which can add up quickly. I’d recommend to pick just one or two houses to see, which gives you a well enough impression of the great architecture and leaves you with enough time to explore some other sites in this city. A 16th century traditional bathhouse that used to be open to public. A narrow passage leads to a large octal shaped chamber, that used to be the dressing room and a place for relaxation and socialization. Turquoise and yellow tiles in geometrical shapes and patterns, as well as beautiful plaster work in soft green and orange tones decorate the walls and ceiling. A maze-like corridor designed to reduce temperature and humidity exchange between the dressing and bathing room leads you to a second octal shaped chamber, that was used for bathing. The colorful plaster work is replaced with grey tones, but the design and embellishments are still impressive. Be sure to also check out the domed architecture on the roof of the Hammam. The domed shape in combination with glass windows allows natural daylight to light the area. Another great example of Persian design. 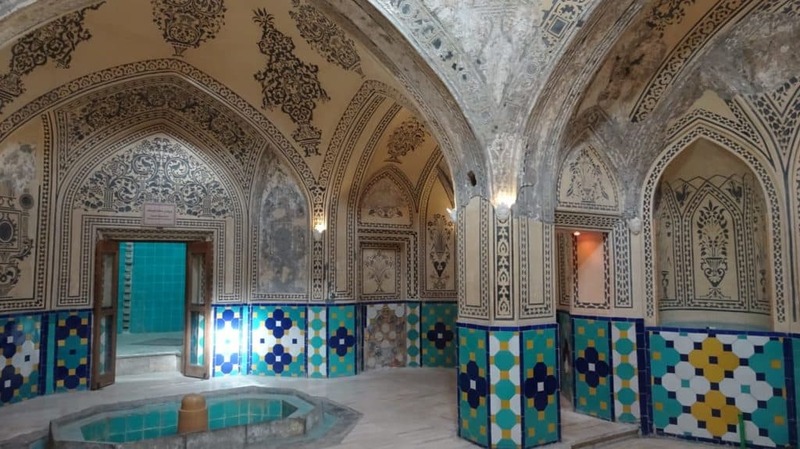 Tip; you can buy a combo-ticket to visit the Tabatabaei house, Abbasian house and the Sultan Amir Bathhouse to save some extra buck. Unfortunately this ticket doesn’t include the gorgeous Borujerdi house, but a visit to the Kashan Bazaar might make that up a bit. Described as the ‘finest Islamic complex in Kashan and one of the best of the mid-19th century’ this mosque and theological school should not be missed during your visit. Conveniently located in the city center, you can just walk here from the historical houses. 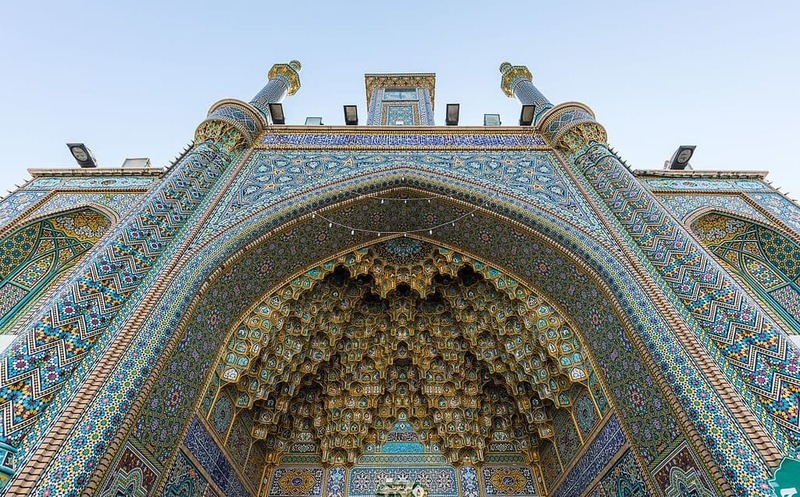 Excellent symmetrical design, robust brickwork, a large green courtyard, blue tiles and overall soft tones are key elements of this structure, that was given its name ‘Borzorgh’ translated to ‘Big’ or ‘Great Lord’ by the Shah himself. Impressive both in daylight and at nighttime, when the complex is lit. This 800 year old bazaar is mentioned as one of the most beautiful in the country, and I can understand why; the 19th century grand light well, which can be found at the old Aminoddole caravanserai, is a stunning piece of artwork! A beautiful mosaic dome allows daylight to light up the tile work in front of your eyes. Leaving you dazzling under the blue and yellow design of what looks like a giant flower, spreading it’s decorated diamond-shaped leaves around the chamber’s walls. The site should definitely be visited during the daytime, when the place comes alive by the play of light. The bazar also features some mosques, tombs and old baths that have been transformed to tea houses. Furthermore it’s a good place to see some handwork in the shape of copper and carpets. And a great place to taste and buy rose-water. A product Kashan is famous for. For those who don’t haven’t had enough history, or would like to see some nature a visit to the Fin Garden can be interesting. 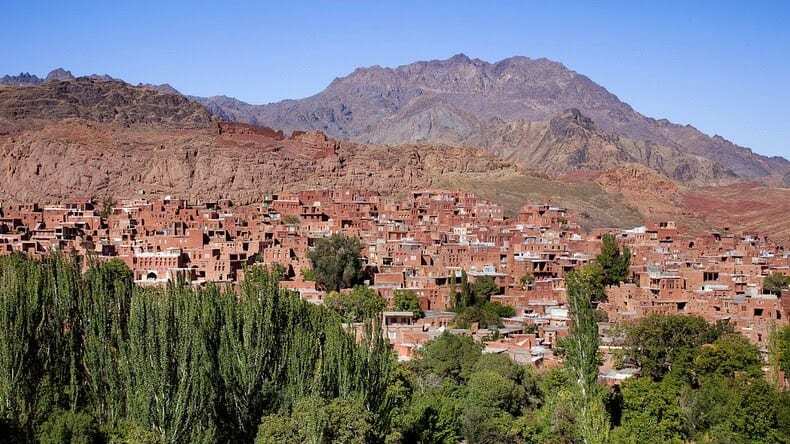 Just 20 minutes away from the center –every taxi driver is eager to bring you there- you can stroll around in the oldest extant garden in Iran. Loved for it it’s symmetrical design, tall cedar trees, pools and fountains this 16th century garden is a good place to relax for a while. Listed as Unesco’s heritage for its great historical importance. 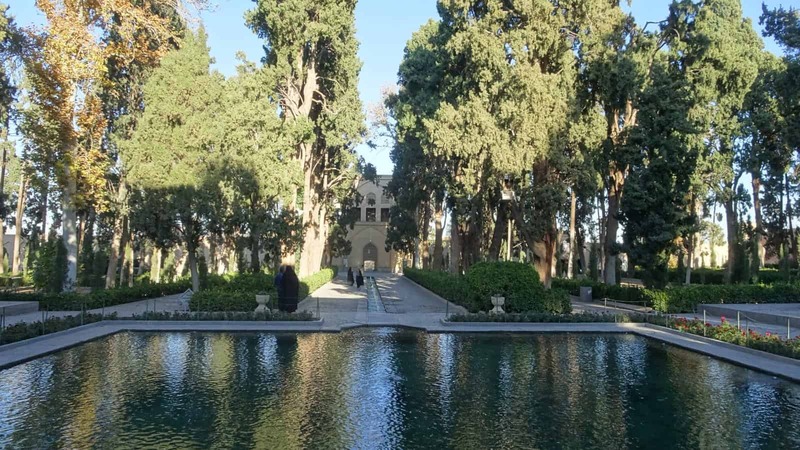 It was in this garden, where Mr. Amir Kabir, the beloved prime minister in the Qajar era, was murdered at the order of the Shah! A story full of conspiracy and personal interests lead to the tragic death of this man, who is known to be one of the first reformers of Iran. Although the violent history, the garden breathes peace now. One critical note is the entrance fee though; 200.000 Rial is a bit steep compared to the other beautiful and interesting places in Kashan. At a 10 minute drive from both city center and Fin Garden, enthusiasts can stop at Tepe Sialk to see the remains of an ancient city, dating back as far as 7000 years ago! At site you can see some remains of old pottery and three well-preserved skeletons. The city itself is not so much preserved and actually still under excavation. Just little information in English and Farsi is provided at the entrance, so it might be interesting to read up about it before you visit. Those interested in something different and unique the puppets and toy museum might be a fun place to visit. Although located just in front of the Tabatabaei house, this small museum is easily overlooked. The place does not just display a collection of traditional puppets from all over Iran, but it also tells you their stories. They also host puppet shows on weekends (Thursday and Friday) and even puppet making workshops throughout the week. Add a super kind, welcoming host and a lovely place to relax with some tea and you have a super fun, out of the box experience. Great for both adults and people traveling with children. Other than a burst of historical sites in the city, Kashan also happens to be a good base to organize some day trips. All trips can be arranged on a flexible base. This means that they can be done easily without booking them before your arrival. Instead of returning to Kashan, you can also choose to spend the night here or to travel ahead from these destinations. For many a dreamy must-see destination, for other’s a tourist trap. Just one hour away from Kashan you can reach the historical village of Abianeh. Situated at the slope of the Karkas mountain, this village only counts a mere 350 residents. Yet it’s is highly popular among both national and international visitors due to its unique location, history, and the typical multi-store houses made of red clay. The streets are so small, that you won’t find any vehicles around. And old aged villagers still walk around in their traditional dress. The village has an ethnology museum, where you can see some tools, cloth and utensils that show some of the 2500 year old history of this place. Besides this you can visit the old mosque and walk to the Palahamoona Fort (Takht-e-Haman) on the hill opposite of the village, which offers a spectacular view on the village with the mountain in the background. If you came by taxi your driver can bring you there. Abianeh is located between Kashan and Isfahan. As an alternative from going to Isfahan by bus, taxi drivers are happy to drive you to Abianeh village, and to drop you in Isfahan. Often stopping at more sights on the way. This can be a very efficient option if Isfahan in next on your route. As a day trip from Kashan it’s also most convenient to hire a taxi for the day as excursions and buses are hard to find. Drivers can be found everywhere around the bazaar, or can be arranged from your hotel. Kashan is a great place for a day or overnight trip to the Maranjab desert. You drive in the desert, play with sand dunes, see a salt-lake and other interesting historical sites. 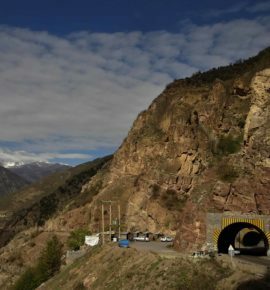 Such as a 400 old caravanserai where people used to sleep in times of the Silk Route, a holy shrine, the remains of a fortress and an underground city. (not in this particular order) It’s a unique experience that won’t be hard to arrange. Several operators offer tours to the desert and even offer overnight stays of which I’ve read mixed reviews. Some people loved it, it’s an amazing opportunity to go stargazing in the dessert(!) but some claim there were too many people, turning it in a, not particularly clean, tourist hub. If you are traveling on a budget the most economical way is to hire a taxi for the day (my lowest offer was 25 euro’s for the day, which can be split under the number of travelers. But it might be more or less depending on your negotiation skills) plus around 7 euro for some entrance fees on the way. obviously a taxi will be less comfortable compared to a 4×4, but that doesn’t mean less fun! These guys wrote a good article about organizing your own tour. 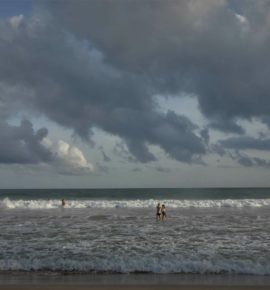 – Plan a day tour that allows you to watch the sunset over the salt lake for a spectacular view. – You might want to find some travel buddies to share the costs and the fun with. I didn’t go in the end because I was on a tight schedule and didn’t really felt like spending 10 hours alone with a taxi driver somewhere in the desert. Too bad! Cause it sounds like a pretty cool day trip! Last but not least Qom could make for an interesting day trip from either Tehran or Kashan. Located approximately 1.5 hours by bus from both cities, you could even make a stop in Qom when traveling between these cities. It’s a special destination in Iran where you can immerse in Islamic culture. After Mashad, Qom is ought to be the second largest Islamic city in Iran and is even considered holy by Shia Islam, making it an important place for pilgrimage. It is the largest center for Shia scholars in the world and home to the shrine of Fatimah Bint Musa, the sister of Imam Reza, the eight Imam in Shia Islam. Needless to say Qom is very conservative. Expect to see a lot woman in chador and men, ‘Mullahs’ with turbans on their head. Other than a center for Shia Islam, Qom is also famous for its Sohan; a flat sweet biscuit made of pistachios and saffron. Kashan has lots of budget and high-end hotels and hostels that can easily be found in google. Search for instance on hostels in Kashan or hotels in Kashan to get an idea about price and location. Another way is to couchsurf around the country. Be sure to use a VPN to connect to the site. Although discouraged by the government, Iranians are pretty cool about couchsurfing and the community is huge. 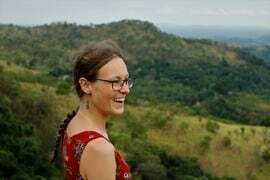 Definitely a fun experience, a great way to meet locals and have cultural exchange! 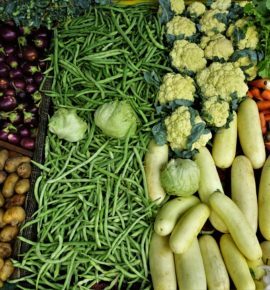 Food can be found everywhere and in my opinion doesn’t need to be researched. But if you do like to find the good restaurants this list might be helpful 😊! 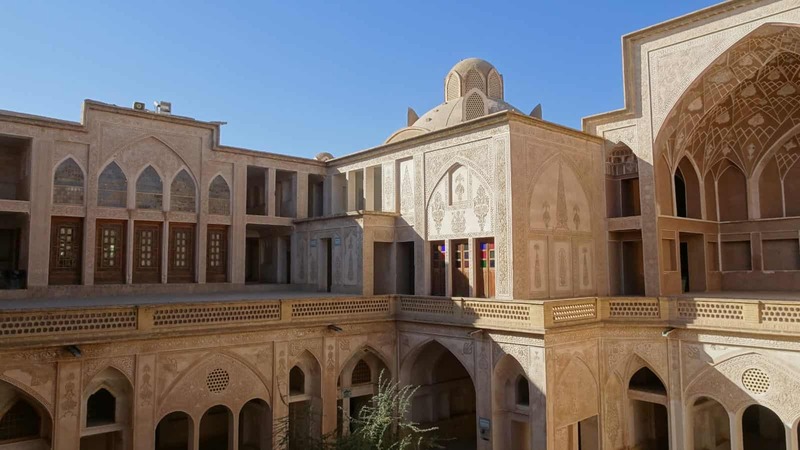 A complete guide to plan your trip to Kashan. I absolutely loved this city and think it could easily be added to any central Iran itinerary. 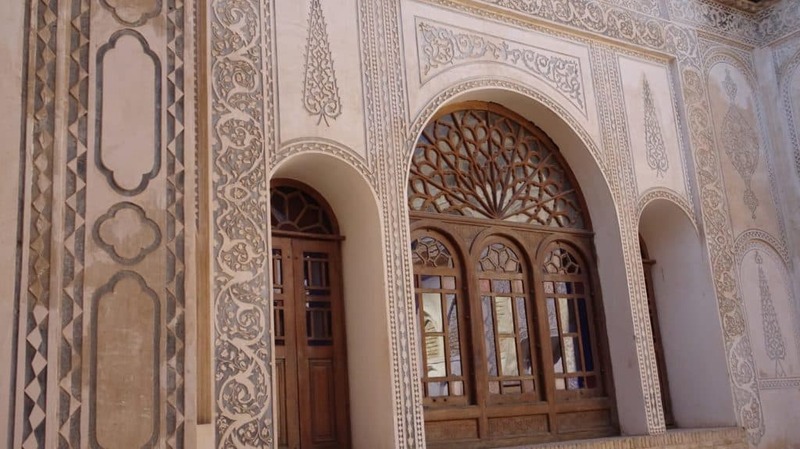 A visit to Kashan is a great introduction to Iranian architecture and history. Let me know if you like to go to Kashan -or if you’ve already visited- and what your thoughts are about this city! Please spread the message by liking it & sharing it on social media :)! 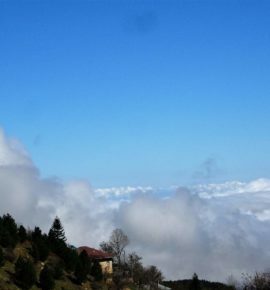 For more Iran travel stories, tips and photo’s be sure to check out this page with Iran Travel Inspiration. Glad to know about Kashan. This is quite an helpful post. Those art works are stunning. Hi yes! Kashan is a gem that is easily overlooked. The art and architecture are excellent examples of 18th century Persian design :)!